State police found a mounted African Cape buffalo head on the side of Route 103 in Clarendon this weekend. 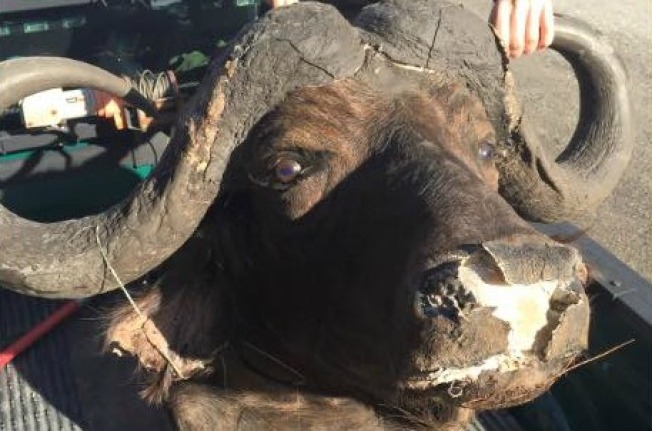 The lost-and-found inventory of the Vermont State Police just got quite a large addition - a mounted African Cape buffalo head. State police say they received a suspicious complaint around 9:30 a.m. Sunday, directing them to a pull off along Route 103 in Clarendon, just south of Rutland, where the mount was located. Police say they believe the mount was dropped off during the night and suspect it was stolen. No other information is known about the mount. The Cape buffalo is the largest of Africa's wild bovines. It can range from 900 to 1,900 pounds. The buffalo is sought-after in big game hunting. Police say the trophy is worth thousands of dollars. Anyone with information about the unusual find is asked to call state police.